My daughter finally did her next installment in her #animalsofoz series of paintings. I wish I could do this now let alone at nine years old, but I think she nailed it. Using the descriptions that L. Frank Baum gave in his Oz books, she brought these two dragons to life. On the back of the canvas she included the quote: “It is the law that evil, unopposed, may accomplish terrible deeds. The power of good can never be overthrown when opposed to evil.” This is one of Baum’s many true to life quotes, and I love that she enjoys his works as much as I do. Her thoughts were that even though these two have a common ancestor, they differ in many ways. Nothing is born out of evil, only influenced by those we surround ourselves with. Her goal was to portray that despite all our differences, we can all get along. I think she’s on to something with that line of thinking. 10 time travelers, 9 Aliens, 8 conspiracies, 7 super heroes, 6 corrupt files, 5 Demon Spawns! 4 lost souls, 3 werewolves, 2 vampires, and zombies in a story. I’m secure enough to admit that I really enjoy the classic fairy tales. Disney did a great job of bringing family friendly versions of them to life, and whether dark or happy, the stories are timeless. When my daughter was born I wrote a children’s book for her called A LITTLE GIRL IN THE LAND OF THE HICCUPS. I was heavily inspired by things like Baum’s Oz stories and Carroll’s Wonderland. After finding success with my first children’s book I went back and began rereading some of the ones that inspired me and they are still enjoyable to this day. Depicted here is a rare find called the OZ/Wonderland War. It was a 4 issue mini-series that places both realms in the same reality, and although a little goofy is an enjoyable comic if just to see the characters unite and interact. What is your favorite fairy tale type story? You can order my children’s books or any of my novels on Amazon.com and Lulu.com in digital and print respectively. Feel free to inbox me (rickpipito@hotmail.com) for personalized copies. Lana sits in as cohost for this episode all about L. Frank Baum’s Land of Oz. From the 40 original novels, we discuss some noteworthy adaptations in film, games, and more. What are your favorite Oz works? Chime in with your thoughts, and be sure to subscribe to my channel for episodes of #thinksipwrite and more. Start your kids off early with reading. With all of the media today, it is difficult to get your kids to read when they can so easily get buried in technology. My daughter is three years old, and my son is almost two. As a writer, I’ve always told them stories and read them books. Then, my daughter’s imagination began to grow, and I had to compensate. I found something that is absolutely great for young children. Graphic Novels. A man named Eric Shanower, as well as artist Scottie Young, have brought to life one of my favorite series of novels. 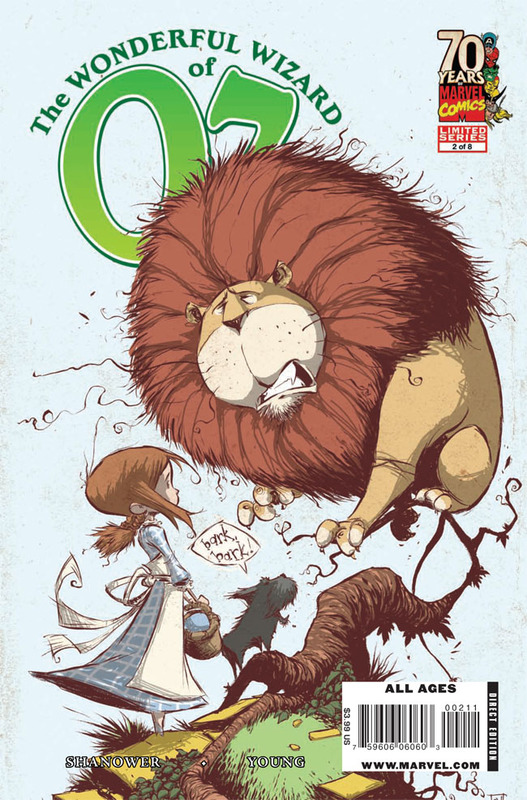 L Frank Baum’s Oz stories are being published by Marvel Comics. I managed to snag a copy of “The Wonderful Wizard Of Oz,” “The Marvelous Land Of Oz,” and “Ozma of Oz.” Currently in the works is “Dorothy and The Wizard In Oz.” These are the first four novels in Baum’s original series and the stories have been converted faithfully. The character designs are unique, but fitting, and the stories flow well. As I read the three graphic novels to my daughter (using unique voices for each character) I soon found she wanted more. That is when I searched for Eric Shanower’s other works. Apparently, before he scored a deal with Marvel, he had worked with IDW publishing to do some of the other Oz stories that weren’t full novels. 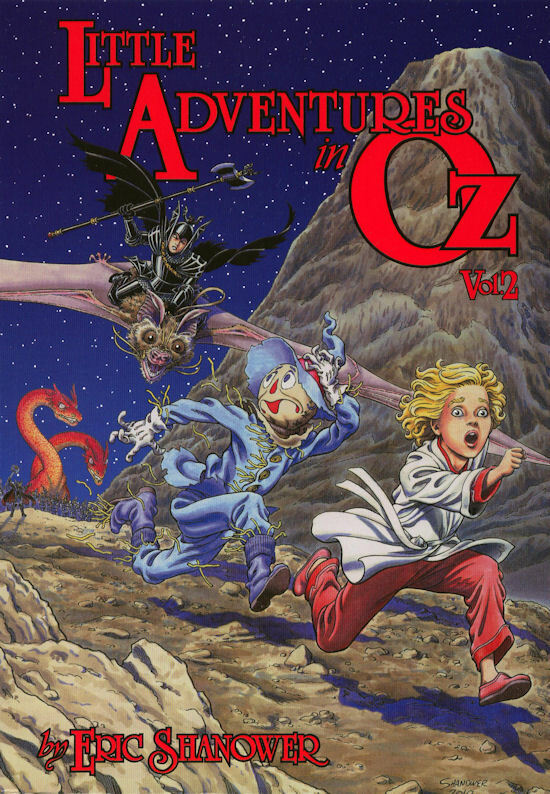 “Little Adventures In Oz Book 1 and Book 2” were two others that became a great read. 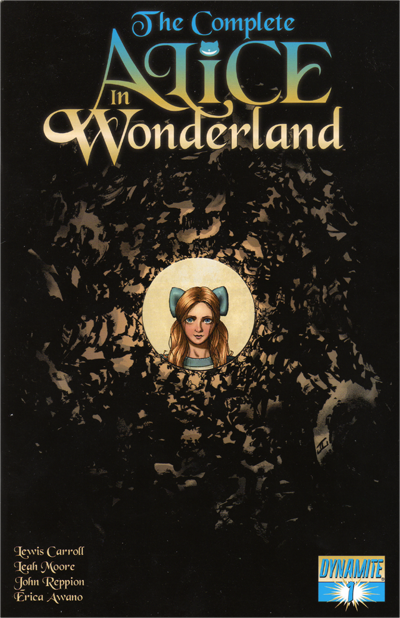 While waiting for the next full release in the Oz series of comics, I decided to search for other classic tales, and found that Dynamite Entertainment did “The Complete Alice In Wonderland.” This graphic novel is also true to the original Lewis Carroll books. It includes “Alice In Wonderland” and “Through The Looking Glass,” plus has some bonus poems in the back. Although the language is a little more poetic than the Oz works, it still is entertaining for my two children. Have you found other graphic novels or comics that would be great for kids or that have translated well from the original fairy tales? If so, please comment. I’m always in search for a good recommendation.